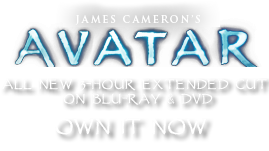 Croquembouche columnare | Pandorapedia: The Official Guide to Pandora | Own AVATAR on Blu-ray & DVD Now! The Na’vi gather the seeds and collect the mucilage to use as a skin rejuvenation treatment. The seeds are delicious and used as a high-protein food source. Taxonomy Croquembouche columnare. Named for resemblance to dessert of stacked cream puffs, and columnar shape. Botanical Description Tall tree with narrow leaves on long branches. Abundant flowers and large spiny fruit produced. Explosive fruit disperse seeds covered in mucilage that stick to anything on contact. Ecology Possesses highly evolved seed dispersal mechanism. Acidic mucilage on seeds dissolves surface it contacts to aid in burying seeds. Ethnobotany Seeds are edible and delicious. Mucilage is collected as skin rejuvenator. Huge potential market in cosmetics and/or industrial solvents.